The leather used to make this jacket is quite unique. 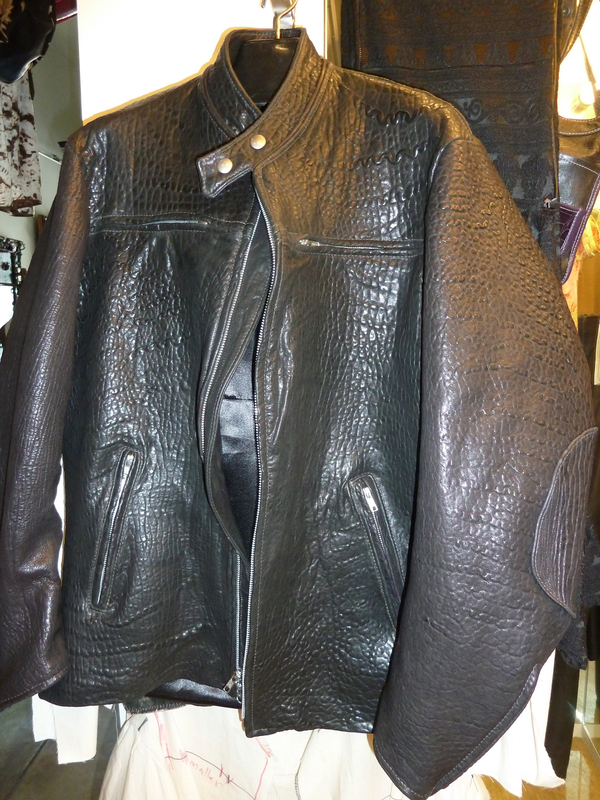 The skin has a bubbled and textured finish that is really interesting from the skins going through a washing process. 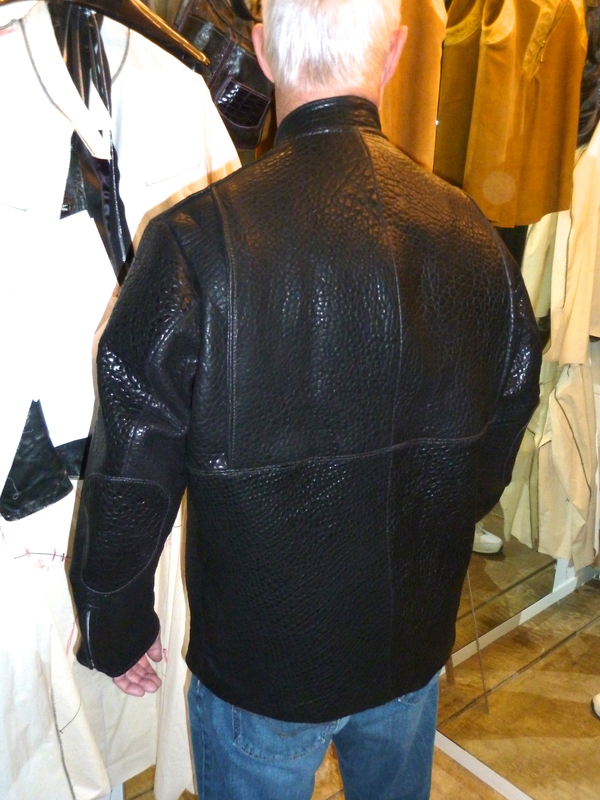 Each skin is slightly different, so cutting and sewing it together becomes an art form. The styling is typical "Motorcycle" influenced. Strong and dependable chrome zippers are used throughout. Four pockets on the front, 2 for the hands and 2 breast pockets, and an additional 2 pockets in the lining. Cafe style collar that stands up on the neck and snaps closed. Extra long sleeves with an additional patch on the elbow zips tight down on the wrists. Expansive pleats down the back of the shoulder blades for ease of movement and a tapering bottom for a close and attractive manly fit. 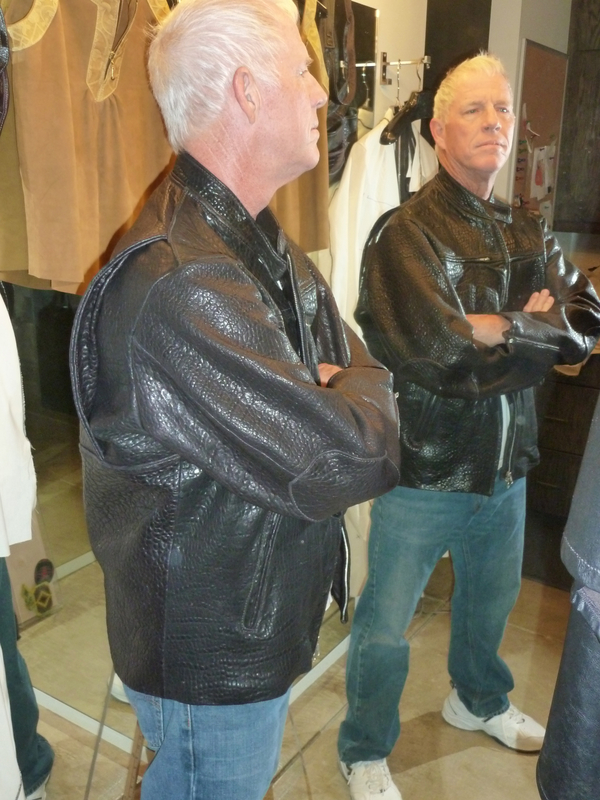 The jacket is fully lined with black satin and includes our newest "Vintage Leather Waves Motorcycle" patch. 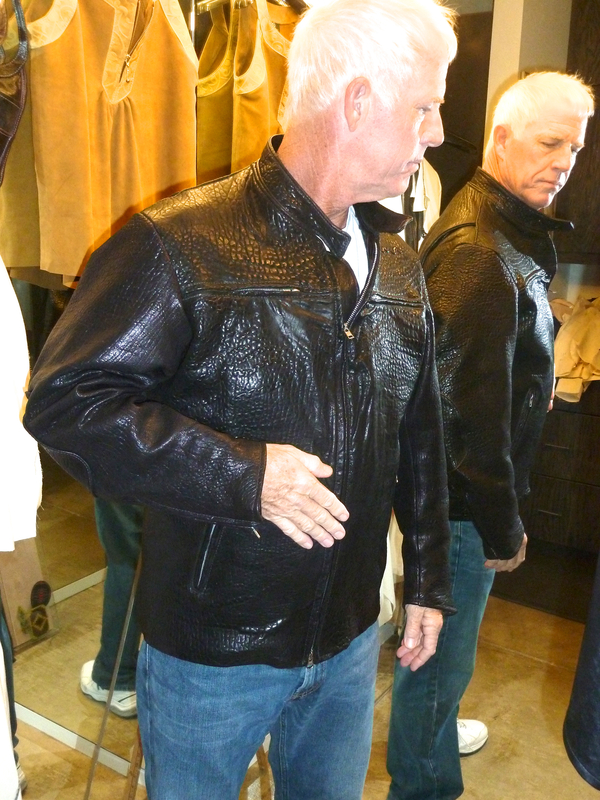 You can get this jacket made to your specifications by Custom Order.